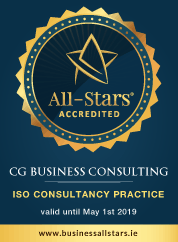 Used by thousands of companies in over 170 countries, ISO 9001 sets out best practice that can be adapted to any business sector in any organisation of any size. ISO 45001 is internationally accepted as the Health & Safety equivalent to what ISO 9001 is to quality. It was developed in response to a demand to be integrated with ISO9001 and ISO14001. ISO 27001 is the international standard for information security management. It outlines how to put in place an independently assessed and certified information security management system. ISO 20121:2012 is a voluntary international standard for sustainable event management, it is suitable for all sizes and types of events.